Many people will affix a screen protector on the smartphone to prevent scratching. Hong Kong Baptist University (HKBU) invented “ArmoGlass”, which can enhance the screen hardness over 50%. It can only be scratched by diamond. Several international smartphone and glasses brands will be implemented in their products. “ArmoGlass” is invented from Department of Physics in HKBU. In principle, a layer of sapphire coated on the tempered glass. The material is these pure sapphire crystals from the United States, weighted about 20 grams each. Research team splits it into one in a thousand small, deposits on the glass surface. Prof. Cheah said: “In a molecular state, sapphire layer is slowly deposited on the glass surface. The cost is very low, because this small sapphire pellet can be applied on three to four cover glass. The cost is definitely insignificant from the whole product price “. According from hardness measurement, “ArmoGlass” exhibits 7 to 8.5 Mohs hardness, which is a level better than “Tempered glass”. “ArmoGlass” can withstand under pencil & steel wool, which can easily make scratch on “Tempered glass”. However, it still can be scratched by the hardest material in the world, aka diamond. Several international high-tech smartphone, watches, and glasses manufacturers are collaborating and will implement “ArmoGlass” with the research team. 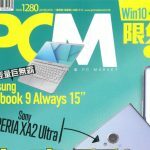 It is estimated to launch in next year. “ArmoGlass” has obtained about 10 patents, and currently the sapphire coating can be applied on glass, but also on plastics. The research team is now developing the sapphire coating on metal surface. The application will continuously extend in wide range. 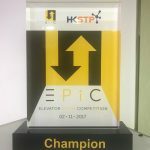 Champion of HKSTP’s Elevator Pitch Competition 2017.